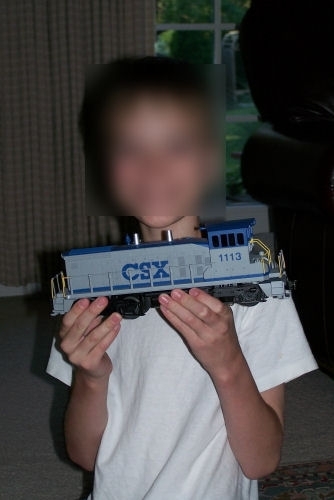 So with that said, trains have always been a passion/hobby for me. 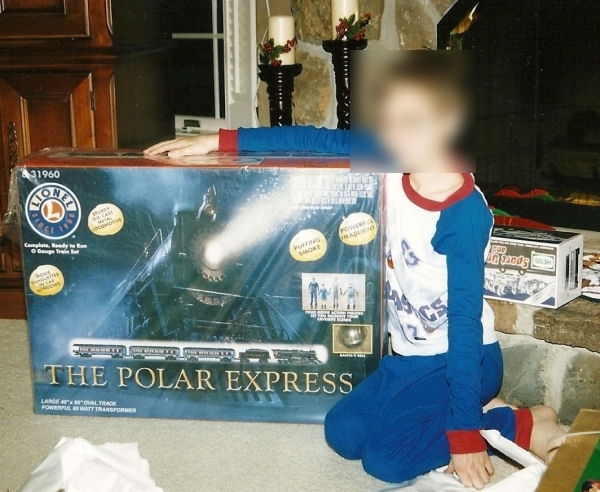 When I was younger, age 9 back in 2004, Santa brought me the Polar Express train set. 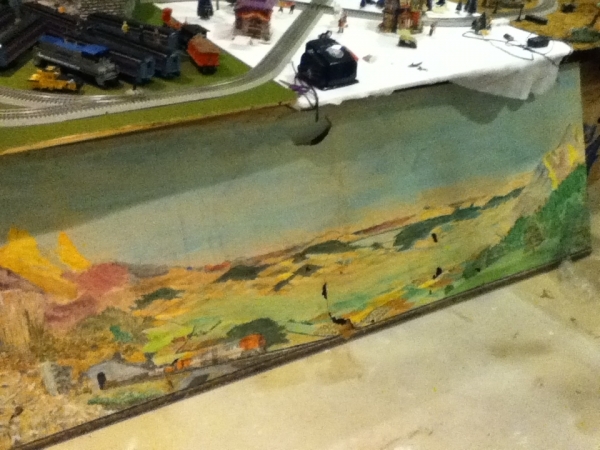 Before then my uncle had me subscribed to the Classic Toy Trains magazine (and still am!) so I’d look at pictures and read the articles. 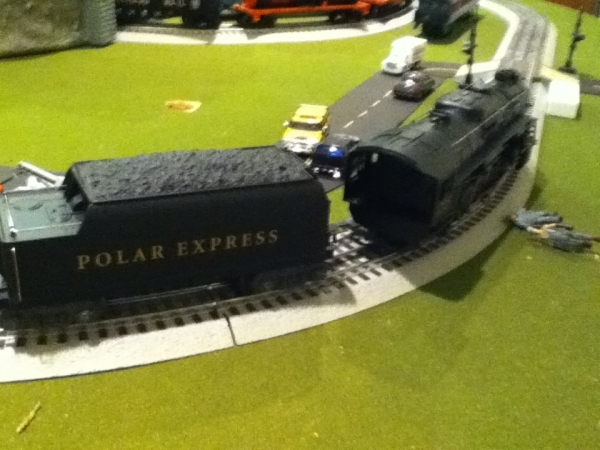 This, however, was my first own model train with the exception of the wooden Thomas ones. 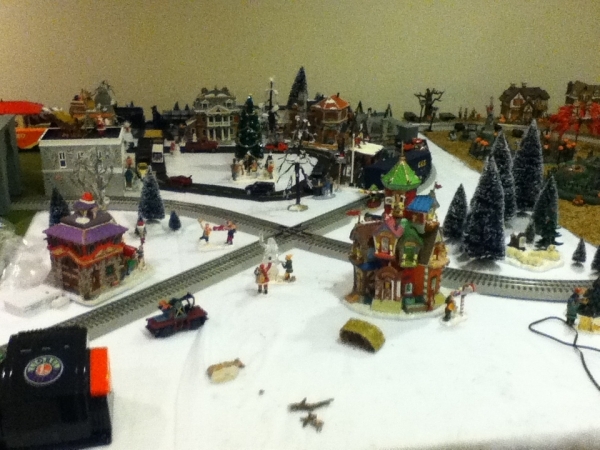 From then on, Santa would bring me trains each year at Christmas. I’d also purchase some stuff with my own money and even get a little something from my parents for my birthday. 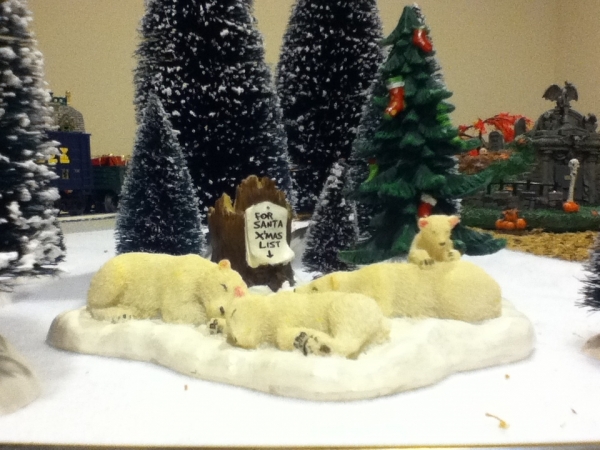 In 2006 I got this for my birthday. This was roughly two months before I joined Club Penguin. 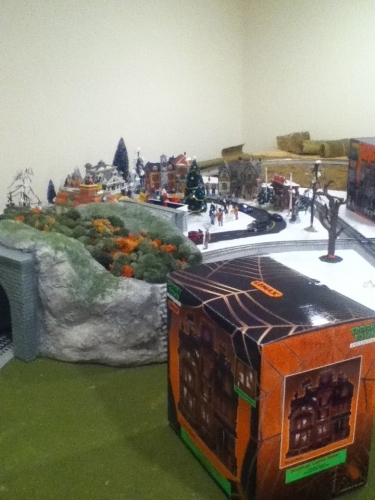 So, since I got the Polar Express train set I’ve since purchased and received many more train objects for the layout. 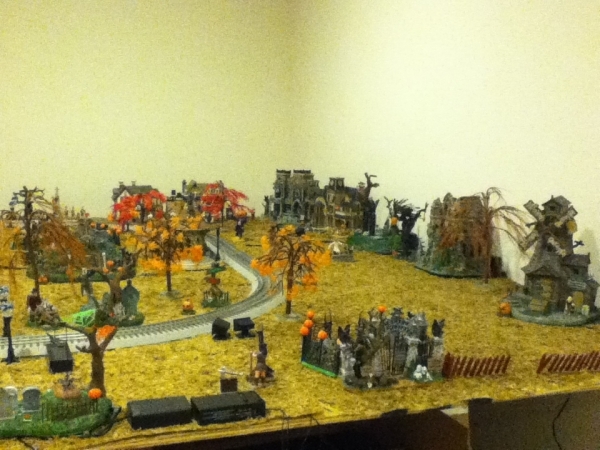 Since I have a wide variety of things, I set it up so each board of wood had a different theme, but was all connected. One is regular, one is Winter, and the other is Halloween. Below I’ve got a collection of pictures and a video showcasing it all. 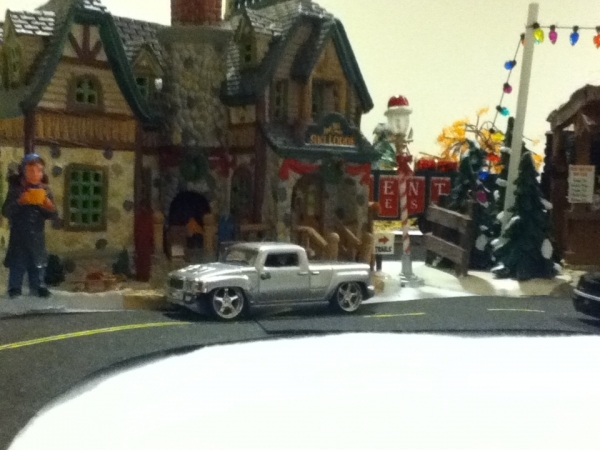 It was all done with my iPod, so the quality is rather poor. However, before I show you more, let’s back up a bit. 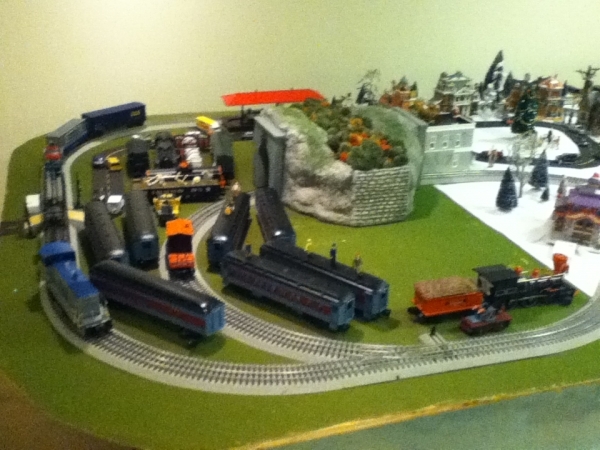 I redo my train layout a lot – I take everything down and then redo it. I’ve done this over ten times in the past few years now. Last August I moved, so I was forced to redo it. 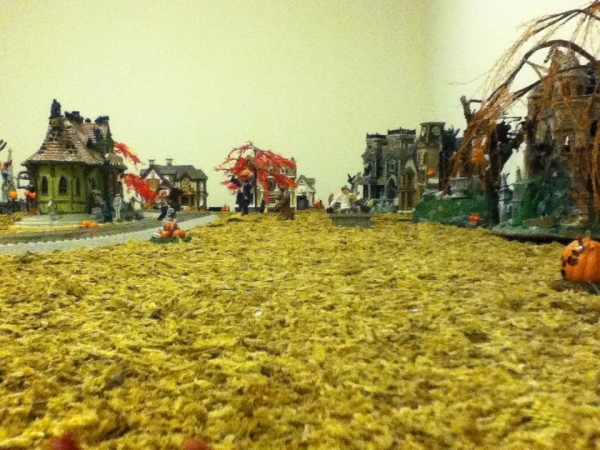 I ended up doing it in November 2011 after having moved into the house and settling in for a few months. 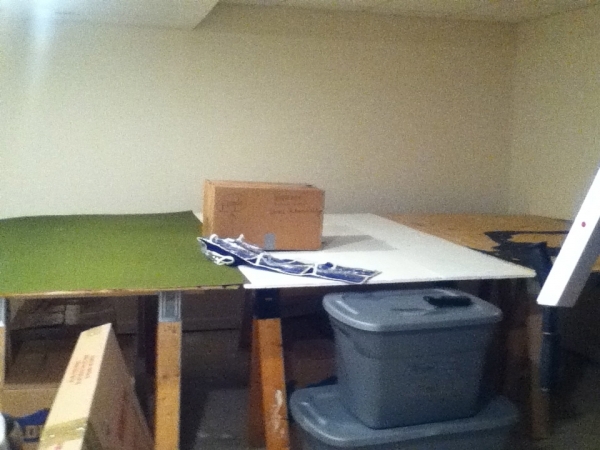 Here’s the boards and boxes containing everything. Almost done setting up everything, I just had to wire everything at this point. Nothing was heard back – or so I thought. On October 13, 2006 (my mom wrote all these dates down, I don’t have extraordinary memory) a package randomly arrived at our house. Nobody had ordered anything, so we didn’t know who it was from. It was addressed as from Lionel. 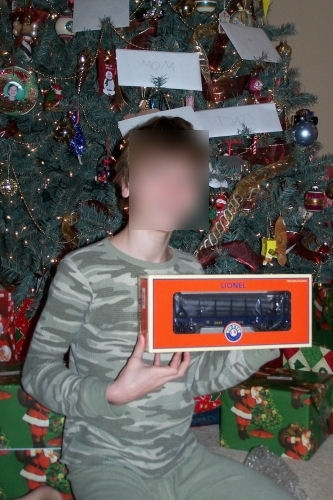 (my mom even saved the envelope, haha) I opened the package, and inside it was the discontinued train that I wanted. I’m pretty sure my mom was more excited than I was – she was practically screaming with joy and immediately called up all our relatives to tell them that I got this train for free after writing to the company many months ago. It was cool – I wrote to a company (I had addressed it to the CEO of the company at the time) explaining how much I wanted it, didn’t hear anything, and many months later a package with it showed up at my door from the company. 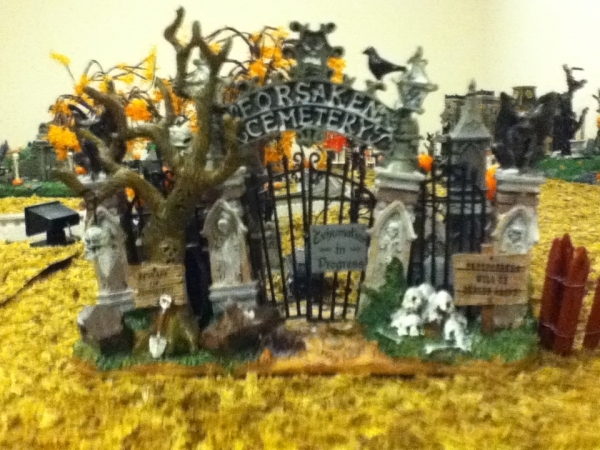 This thing wasn’t cheap, either – it would have been $100 at the store. 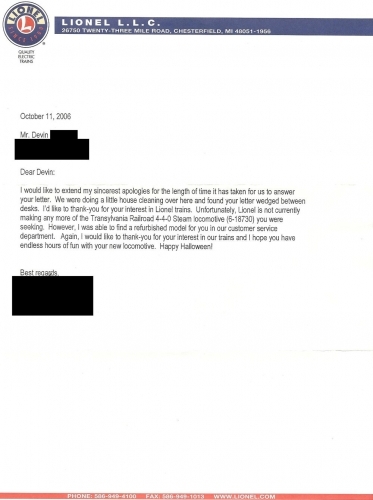 It also came with a note back – it said that they were doing cleaning and came across the letter wedged between two desks. This was the letter. It wasn’t from the CEO, but instead someone from the company. 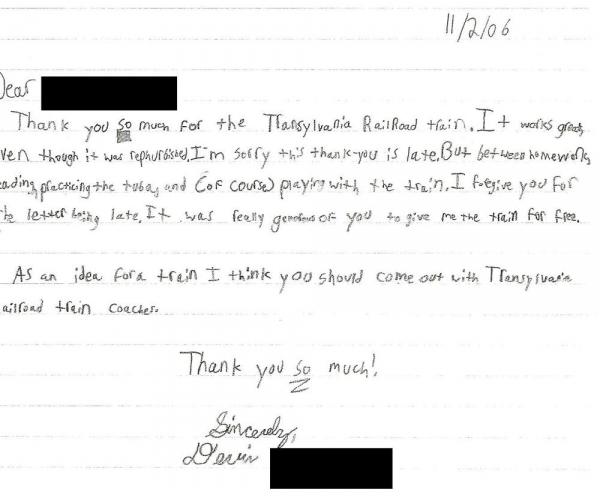 …and then my mom had me write a letter back. Okay, that was the last distraction. 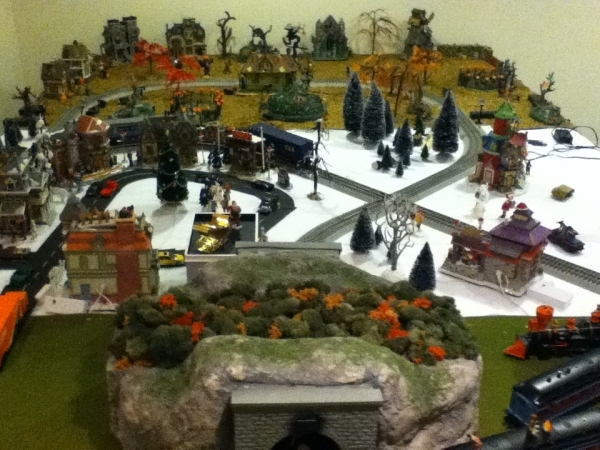 Here are photos of my current train layout. 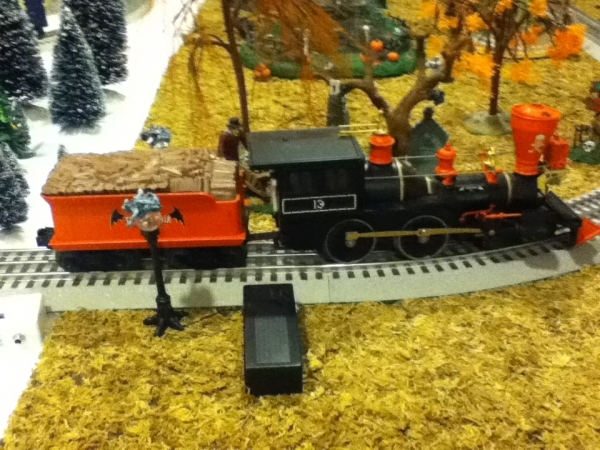 This is the Halloween train that I did end up getting from Lionel, the one I wanted. It still runs perfect. Finally, here’s a video of the trains in action. 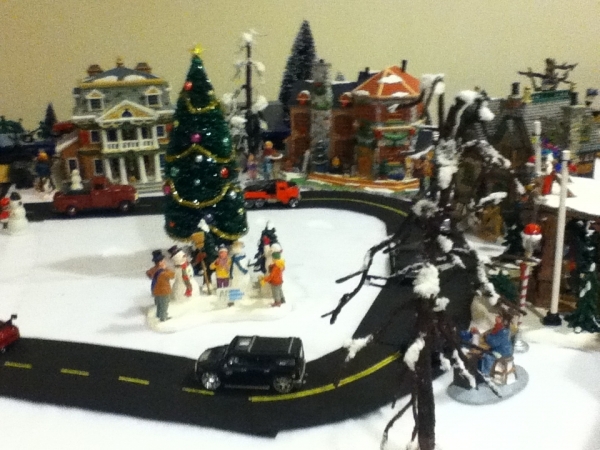 Many of the buildings and figures light up and emit noise but I didn’t bother plugging it all in. 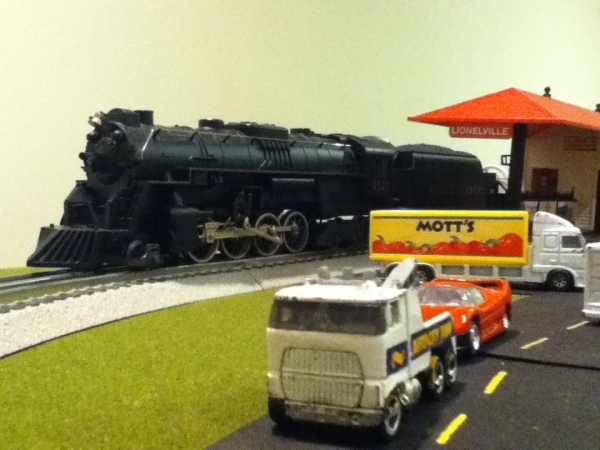 Check back for next week’s Trainman1405 In Real Life post – it’s a pretty special thing! 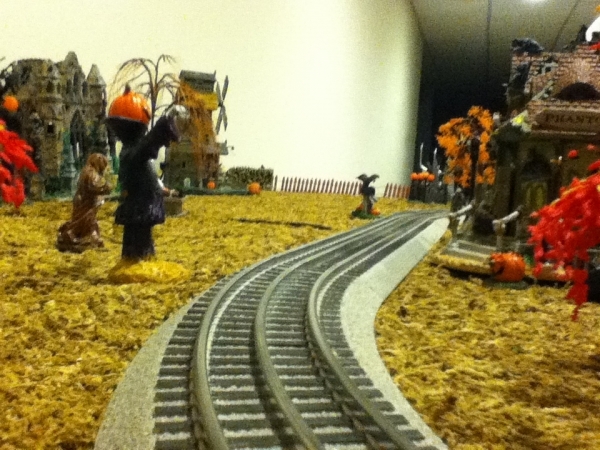 wow thats why your called trainman…. GASP!! Your real name is devin?! 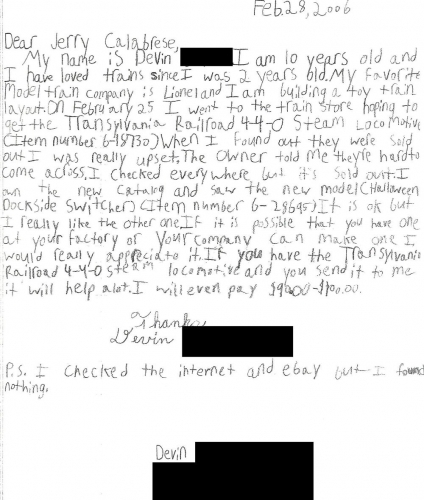 I was wondering how you got the name Trainman! Pretty cool! Yeah! Usually I wait until the store has them on sale, usually 40% off or so. I mentioned in the post. ;) Yup! Hey trainman! My penguin name is airplane6068 because I loved airplanes my whole life! I don’t want the last names revealed. 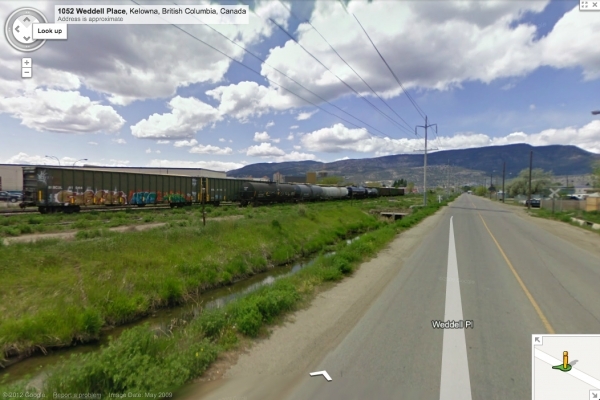 We know Trainman, but why 1405? 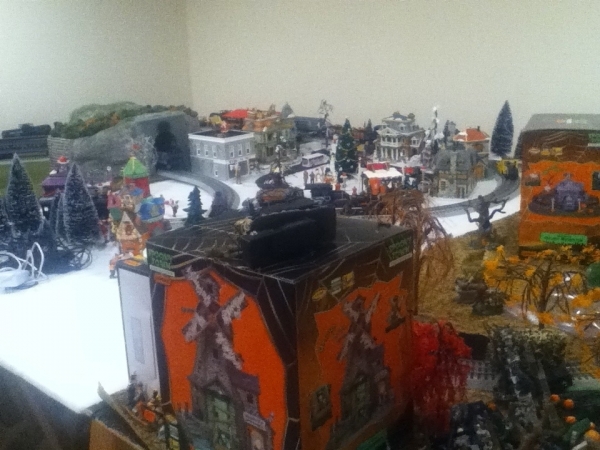 And I have a MASSIVE collection of Thomas the Tank Engine trains and track pieces, I love the sets! Yes, I still collect it. Soooooooooooooooooooooooooooooooooooo fun! The 1405 was just a random number addition that I added. 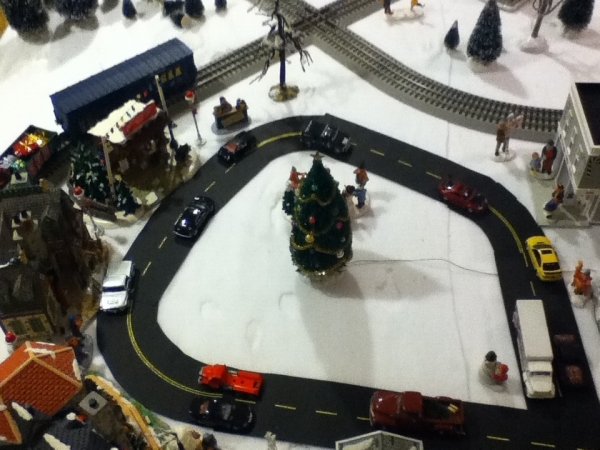 I like trains, too (obviously not as much as you), but never really had my own. 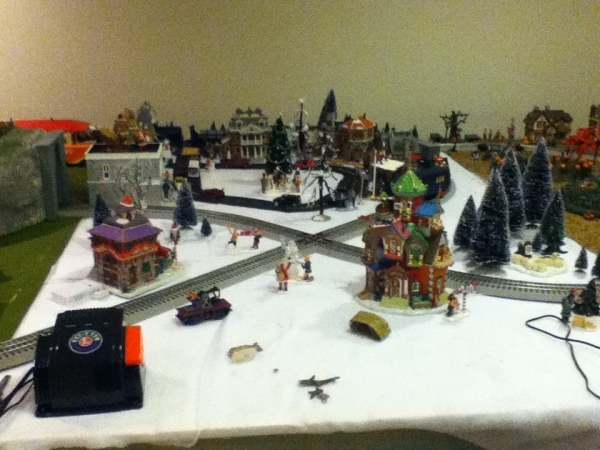 The only train set we own is a Christmas train that goes around the Christmas tree. Man, this post makes me want to go out and get some! For this question train you can pick both. What do you like better trains or club penguin?